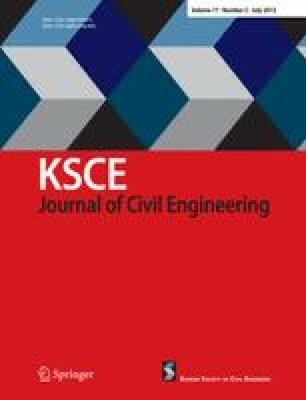 This study proposes a robust optimal design approach of seismic isolation system for bridges against uncertainties in the system such as model parameters of bridge and isolation bearing, for which a constrained multi-objective optimization problem is formulated by using the bi-objective and constraint functions. The two objective functions are defined as the mutually-conflicting failure probabilities of the bridge pier and the seismic isolator, and the constraint function is constructed by using a robustness index which is defined as the average value of the perturbed amount of the failure probabilities of the bridge so that it can be interpreted as the quantitative measure of the seismic performance degradation of the bridge system caused by the uncertainties. The nonlinear random vibration analyses that estimate the stochastic responses of the seismic isolation bridge system used in the bi-objective and constraint functions are efficiently handled by the stochastic linearization method without performing numerous nonlinear time-history analyses. In order to demonstrate the effectiveness of the proposed approach, the constrained multi-objective optimization is performed on an example bridge. For comparison purposes, the unconstrained multi-objective optimization with no uncertainties in the system parameters is performed as well. The comparative results verify that the robust seismic isolation system obtained by the proposed design approach can balance the failure probabilities of both pier and isolator in a reasonable level while guaranteeing the bridge performance to remain insensitive to changes in the bridge parameters as well as the design variables of the isolator. The parametric investigation of the robust performance between two different systems also confirms guarantee of the robustness of the proposed method despite the uncertain characteristics of the stochastic ground motions.